Clothes! We’ve all gotta wear them, but we don’t have to spend a ton doing so. While I don’t think Mr. Frugalwoods or I have any clothes quite as ancient as our venerated 19-year-old Frugalwoods-mobile (whose virtues I extolled earlier this week), we certainly have some, ahem, mature threads. Since not consuming is a huge part of both our philosophy on lessening our environmental impact and also a key component in how we save 71%+ each year, we have a few tricks up our sleeves (hah!) for keeping the stuff we own in stellar condition. And as I continue my now 19-months-long (and counting!) ban on all clothes buying, I’ve had to get pretty creative in how I maintain the wardrobe I do have. Clothes don’t make the frugal weirdo, but they are required in most jurisdictions, so I figure they’re worthy of frugal discussion. Some of you probably already know all of these strategies, and some of you probably know way more. But, reexamining how we maintain our frugal possessions is a wise thing to do every once in awhile. 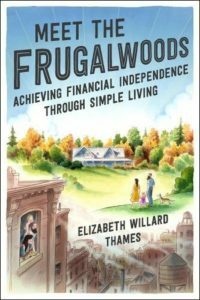 Just as we thrust our spending under the microscope, so too do we analyze our frugal practices. 1) Buy high quality clothes. Ok, I realize this is kind of a retroactive first step, but, buying decent clothes to begin with is an ideal way to future-proof your wardrobe. Plus since I’m not shopping for clothes these days, it’s cathartic to live vicariously through you all–I’m just imagining all the amazing bargains you’re finding right now! And I’m sure you’re well aware where I advocate purchasing such togs: thrift and consignment stores! Clothes are an area where the used markets shines to its fullest, most frugalist potential. Here’s the thing–new clothes loose their value almost immediately and are rendered worth far less than their initial purchase price. They actually might be worse than new cars in terms of depreciation and that’s really saying something. This is fabulous if you’re a thrift-combing frugal weirdo… conversely, not so fabulous if you buy a brand new wardrobe every season. Folks looking to make space for their new acquisitions will often just dump their “old” attire at the thrift store because it’s incredibly difficult to actually re-sell clothing (unless you have mad eBay skillz and serious brand name offerings). Additionally, consignment stores operate by paying clothes-donators a percentage of the anticipated sale price, so people are incentivized to off-load good looking garb. I’ve found brand new, tags-still-on items at thrift stores from the likes of J Crew, Banana Republic, and the Gap, paid an absolute fraction of the sticker price, and waltzed away with well-made, stylish sweaters, dresses, pants, and coats. And don’t discount Goodwill as an option either! Yes, the epic finds are buried deeper, but with thrifty perseverance we’ve excavated some choice pieces from the depths of our local shop. Mr. FW’s $5 nearly-new khaki hiking shorts spring to mind. While other inexpensive options for clothing procurement are cheap stores, their offerings are typically not of the caliber that’ll endure for years. I am admittedly a fan of Kohl’s for discount, new threads and I’ve found that their products (for the most part) stands the test of time. I’m currently wearing a stretchy dress from there that I bought a solid 10 years ago. But for my money, most cheap new stores don’t cut it in terms of quality. 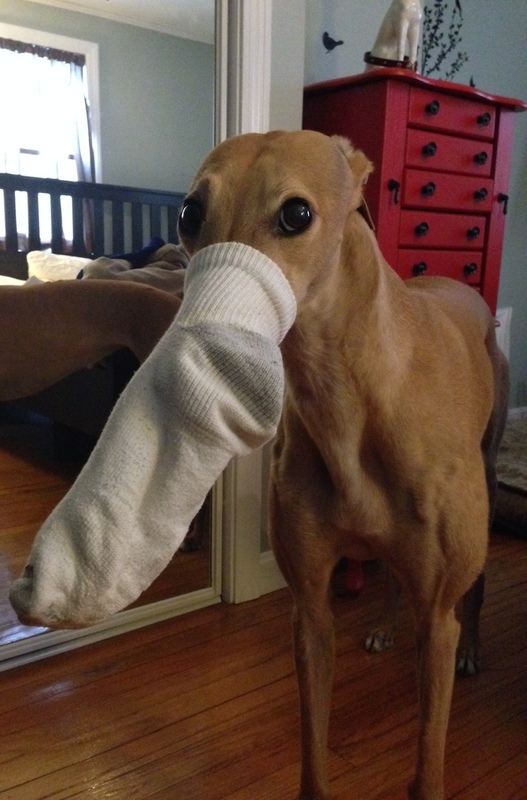 Now that you’re equipped with your second-hand styles, don’t merely heap them in a pile on the floor of your closet or doggie bed (Frugal Hound, being a hoarder, dreams of us piling all of our socks on her bed. Not gonna happen, dog). It sounds obvious, but, hanging garments up and carefully folding them in drawers truly will extend their lifespan. Mr. FW and I share a closet and dresser in our bedroom, which is where all of our apparel for the current season resides. Everything else hangs in either the guest room closet or remains safely tucked in storage boxes. I have cedar blocks chilling with all of our winter wool items to prevent months. Clothes don’t like being wadded up–it makes them annoyed and wrinkly. So do them a solid and let them hang with ease. 3) Don’t wear your clothes. This sums up Frugal Hound’s opinion on the entire matter. She feels that clothes are an unnecessary and constraining imposition levied by our culture’s desire for homogeneity and order. Plus, she’s a dog and clothes are itchy. For us humans though, who probably should be wearing clothes, we can choose carefully which clothes to wear. The rule is simple: don’t wear decent attire unless you have to. If you answered E, you’re doing it wrong. For all your A-D’ers, you’re winning at life! Mr. FW and I have a retinue of seriously grungy around-the-house outfits that shouldn’t be viewed by anyone other than each other (huge apologies to friends who unexpectedly drop by while we’re at home–we know we look terrible). At present moment, I’m wearing a stained t-shirt dating to my halcyon high school days and frayed PJ pants that I stole from Mr. FW (I am almost 7 months pregnant after all–I needed more stretch in the ol’ waistband). And Mr. FW is wearing what could only be charitably described as a mottled undershirt and some tragically colored gym shorts. We don’t wear nice vestments unless we’re going somewhere that requires looking presentable–such as work, greyhound parties, to visit family, frugal weirdo conventions–you get the picture. By adhering to this rule of gross at-home garb, our fancy clothes are worn infrequently and thus don’t suffer the grubbiness that our home life entails, including but not limited to: dog washing, dish washing, hair cutting, eating (I’m the messiest eater ever), circular saw use, and… you can imagine the rest. 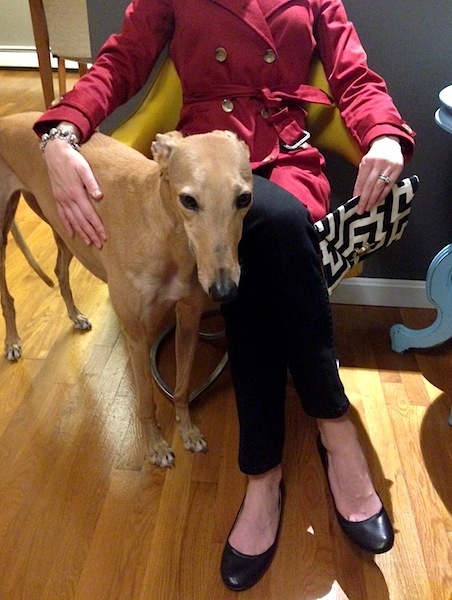 I put my work outfit on right before I leave the house (no touching of the Frugal Hound after I’m dressed!) and I take it off the minute I get home. Since Mr. FW bikes to work everyday, he actually changes at the office, thus keeping his duds quite pristine indeed. And we rarely wear classy clothes to do mundane chores such as go to the grocery store, walk the dog, or errand about town. 4) Don’t wash your clothes. Thanks to this judicious regimen of rarely wearing our deluxe outfits, we find we don’t have to launder them all that often. The more you wash your clothes, the more wear and tear they’ll show. I typically wear my corporate ensembles at least twice before washing them and Mr. FW generally wears the same pair of work pants all week (ok granted, he does wear jeans to work). Unless something stinks or sports a tremendous stain, we hang it back up in the closet to wear again. Rest assured, socks and underwear are only worn once before washing. 5) But when you do wash your clothes…. Do it carefully! No throwing of entire piles into the machine at once! I wash everything in cold water as this 1) costs less since the water heater doesn’t have to kick on and, 2) is gentler on fabrics. My laundry sorting method is also somewhat unusual–I sort by wash cycle. I do a gentle cycle for our finest garb (dresses, sweaters, dress shirts/pants); a regular cycle for jeans, t-shirts, socks, undies, PJs; and a heavy cycle for sheets and towels. Since I’m washing in cold water, I don’t have to worry about colors running, so I toss black, white, and red all together in the same wash. By using the minimum viable cycle strength, I’m agitating our clothes as little as possible. My dresses aren’t dirty enough to merit a true scrubbing–they just need to slowly oscillate in soapy water for awhile. 6) Turn it inside out. Just about every article of our clothing gets washed inside out. This helps the ‘public-facing’ side of our clothes stay fresher longer. And, since most of our body-dirt is on the interior of our clothes, that side gets washed more thoroughly. How you dry your laundry is another excellent opportunity for extending the lifespan of clothes. I hang-dry all of our gentle and regular cycle items (dresses, t-shirts, dress shirts, skirts, jeans, pants). 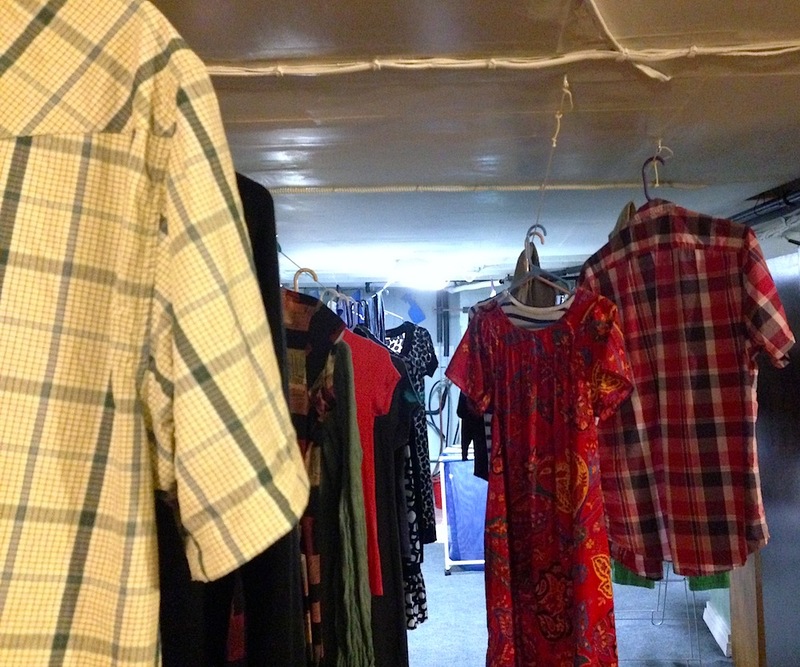 We have two large drying racks in our basement as well as several clothes lines strung from the ceiling with eye-hooks. While my current drying set-up is beyond luxurious (I call it my laundry castle), I used to hang-dry clothes when we lived in our tiny one-bedroom basement abode. To accomplish this feat, I had two folding drying racks I’d set up in our kitchen and I hung clothes on hangers on our shower curtain rod. It was less convenient, but it totally worked. Some folks enjoy drying out-of-doors, which is another lovely option. I look forward to having huge clothes lines in the yard on the homestead one day (hey, a girl can dream)! Our dryer is employed in service of drying sheets, towels, socks, and undies. Yes, I certainly could hang these bits to dry, but I choose to pay for the luxury of the quick dry. Since we use the same set of sheets and towels every week, a quick turnaround is key so that we can both bathe and sleep. Protip: don’t try to make a bed with still-damp sheets. It does not end well. Same story for bath towels. Turns out, patience when drying is a virtue. step 1: I vigorously shake out anything that’s wrinkle-prone (primarily Mr. FW’s button-down shirts) while still wet. step 2: I place said items on hangers. step 3: I bask in all the free time I have since I shun ironing. In addition to being a fun way to thwack yourself with wet clothing, this is a super effective wrinkle remover. Sure, Mr. FW is probably a tad rumpled, but avoiding the iron saves time, electricity, and is less harsh on our regalia. Protip: gently shake out sweaters and lay them on top of your drying rack. This way, they’ll assume their sweater-y shape and won’t get stretched out on the hanger. Don’t hang up a wet sweater unless you want to double its length. Ask me how I know this. It’s not pretty. 9) Repairs are for winners. Spot a hole? Sporting a tear? Then fix it, dear frugal weirdo! Many a clothes item in our possession has sprung a leak or lost a button or come unhemmed. Rather than toss it to the curb, we bust out the needle and thread. 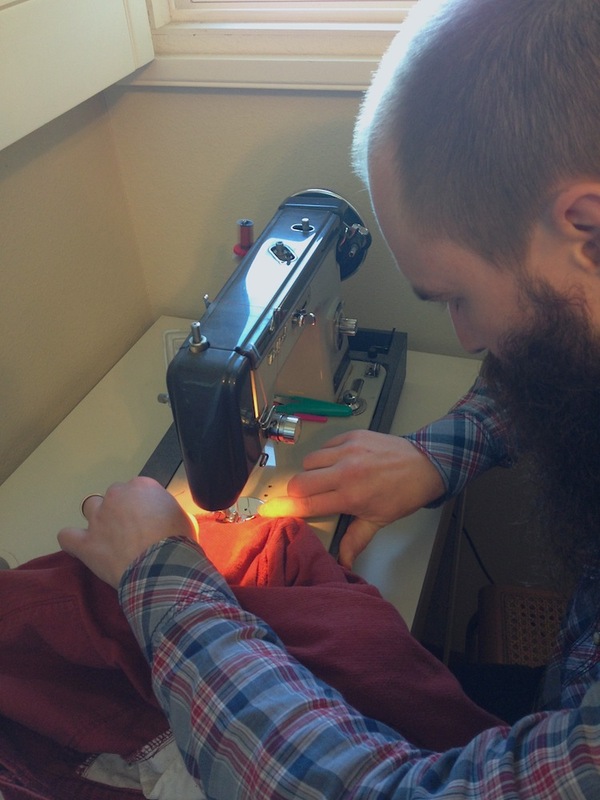 We don’t have a sewing machine (yet… ), but we’ve been able to repair our clothes just dandy by hand for years. Plus, this is just another example of how we frugal weirdos insource everything humanly possible. Mr. FW sewing a hole in his pants (using an iron-on patch) with my mom’s sewing machine. If a hole extends beyond the realm of mere needle and thread solution, allow me to introduce you to the fabulousness of iron-on patches. These are wondrous sticky patches you iron onto the opening of a hole that serve to both bind your fabric and patch aforementioned hole. Patches are best deployed on heavier materials, such as jeans, but I’ve also used them to great effect on delicate sweaters where stitching would pucker the fabric. Another marvelous tool is Fraycheck, which is basically a liquid hem. This works tremendously well on gauzy textiles (such a silk or greyhound fur) when you don’t want to risk the puncture wound of a needle wielded by inexpert hands. Sidenote: I’ve hemmed many a curtain using Fraycheck since I didn’t want to subject my poor curtains to my uneven hand stictching. It’s not as durable as traditional sewing, but it works beautifully on things that receive little wear, such as curtains (unless of course you’re in the habit of galavanting about in your curtains, in which case you should probably use needle and thread). 10) Avoid the dry cleaners. This is environmentally, budgetarily, and clothes friendly. Unless you have an item that explicitly demands to be dry cleaned (such as a suit or formal dress), don’t do it! There’s no earthly reason to dry clean standard clothing items. I know that many a frock contains the all caps injunction to DRY CLEAN ONLY, but use your frugal sense here. We visit the dry cleaners perhaps once a year (or once every two years) and our clothes are in splendid condition. 11) Except sometimes don’t avoid the dry cleaners. And now in an apparent contradiction of myself (something I’m superb at doing… just ask Mr. FW), I don’t advocate for the DIY cleaning of seriously specific or frail apparel. It’s not worth the money saved to ruin your best bagpipe costume! If you have specialty clothing designed for specialty purposes, take care of it as it’s intended to be cared for. 12) Don’t wash dog stuff with human stuff. A universal maxim we should all strive to follow. 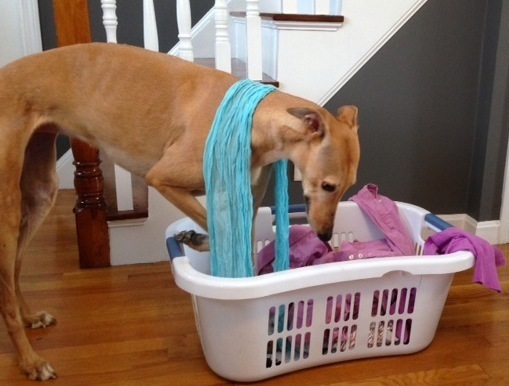 If you have a hound or other house-animal, wash their paraphernalia in a separate wash. I disobeyed this rule exactly once. There was Frugal Hound fur in every single crevice of our clothing. It was a bad scene. And I apply this grade separation to cleaning rags as well. Sometimes it’s worth the additional water and electricity expense to ensure you’re not soiling your clothes in the process of attempting to wash them. 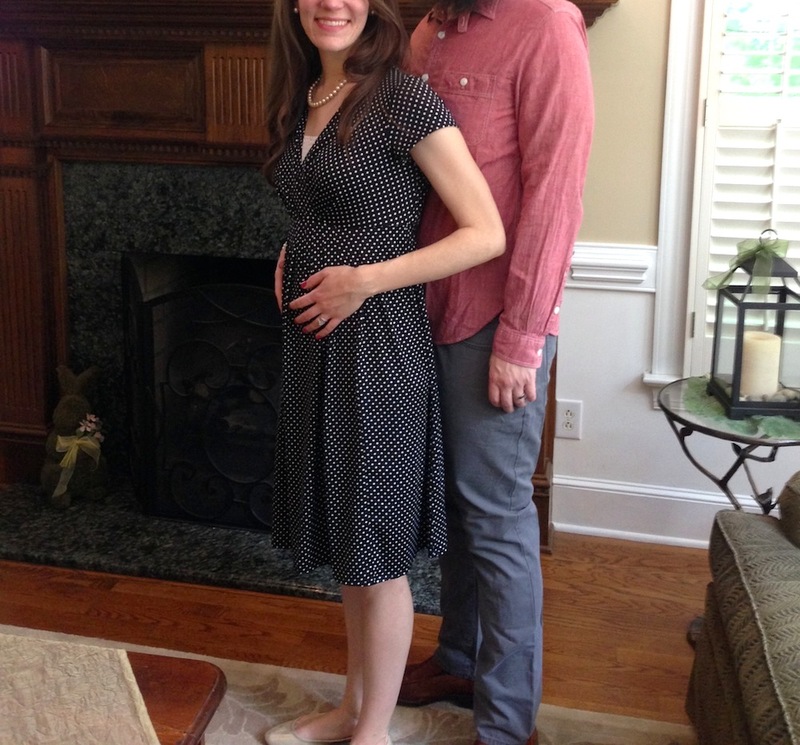 Yay for hand-me-down maternity clothes! Though I don’t fixate on our appearances or how dapperly we’re dressed, it does pay dividends for us to keep our clothes in decent condition. Not needing to replace our wardrobes annually–or even every five years–is liberating from the perspective of reducing our dependence upon consumption and also, quite obviously, an excellent frugal hack. In much the same vein as we continue to drive our 19-year-old car, use our 10-year-old popcorn popper, and enjoy our used furniture, wearing old clothes is just another way that we flaunt our culture’s missive to constantly buy newer and better stuff. Nope, there’s no need. We’re perfectly content with the clothes we have. What clothes-care tricks do you employ? Any thrilling laundry disasters to share? Oh yeah. My wife can sew the minor hole. We actually have a steamer that we use (it was a wedding gift). I rarely use it though since my work office is so damn cold that I end up wearing a flannel over any shirt I wear. The wrinkles will be hidden anyways! I’ve also started to roll a lot of my clothing instead of just folding it like that KonMari lady. I haven’t done a whole house clean-out but it’s still neat to see all of my clothing options when I open a drawer. That inside out idea is a good one! Oooo a steamer! Sounds fun! I’d probably end up scalding myself though ;). My office is freezing too! I usually end up with two sweaters on even in the summer–I’ll never understand corporate climate control. No, NO! #3 Don’t ever do that to your spouse. Divorce is more expensive! I like it when Mr. Crackin’ says I look pretty or that I’m hot. I guess I’m vain like that. My concession to “in house” wear is comfortable flowing dresses. Or if the kids go to Grandma’s….it’s $2.00 Goodwill see thru lingerie. It’s a “treat” for Mr. Crackin’ and yes, I refuse to think about my clothing’s previous life. Luckily Mr. FW and I are both on board with the bumming-around-the-house outfits :). It’s a family tradition for us ;). 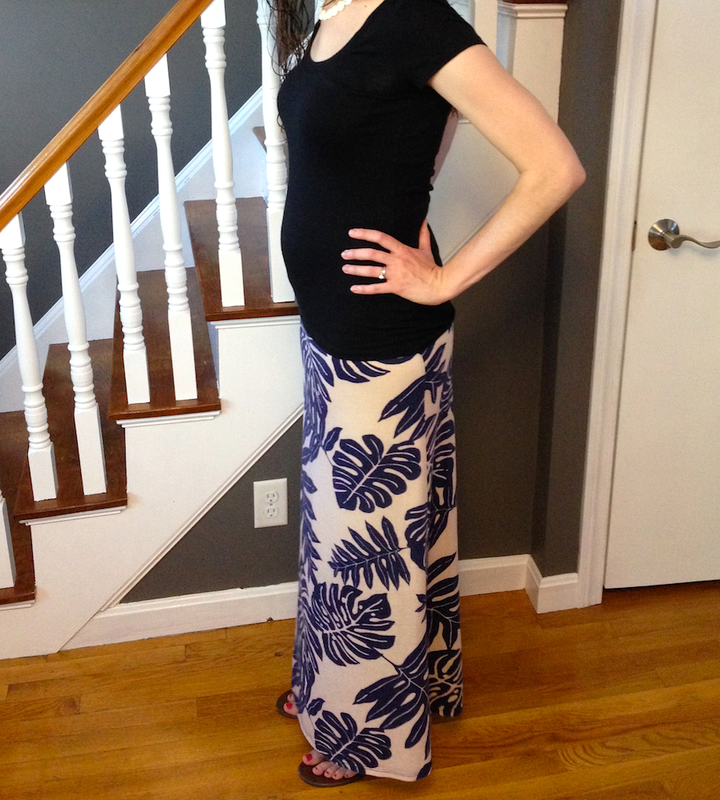 Comfy, flowing dresses are great, I agree–I’ve been really enjoying those in pregnancy especially! Good call on some of these tips! Another good one is to be sure to zip up the zipper and button all garments before you wash them. Especially jeans! These zippers are like little razor teeth just looking to shred cloth if you leave them open. The danger of zippers! Eeek! Thanks for sharing! I wear lots of sleeveless shells with a jacket, shirt or sweater over them. We have a 1 speed washer and get lots of wrinkles, so I just iron the fronts..save half the time. Nice! That’s a great way to do it! Great tips, thank you! My husband and I just moved from Pennsylvania (and prior to that, Boston) to Tampa, Florida. Not only did we amass some costs in moving, now we both are hunting thrift stores for more “appropriate” clothing for work (man, it is hot!). I am going to be working in a clinic that requires dressy clothing and I just left a job that was decidedly more casual. If you, Mrs. F, or any of your readers could chime in on some brands of women’s dress pants that stand the test of time, I’d appreciate it. I had “dry clean only” pants that I would hand wash and dry but they would pill. Some of the washable ones tend to fade or lose their shape. I found your site via Boston.com and absolutely love it. We share a lot of the same principles and hope to find some like-minded friends in Florida! Thank you, and take care! I heartily recommend pants (and clothes in general) from cpshades. I have some from 22 years ago and more recent vintages in linen, jaquard rayon, and winter velvets. I machine wash in cold and hang up to dry. I bought masses when there was a store in town, most at the annual sale (for about 20$ per piece). I wear them most days of the week. I understand there is only one dedicated store left in santa monica, but the clothes are available in other stores and through mail order. Thank you so much, Tess! I will definitely look into these companies. I love that cpshades clothes are made in the U.S.
Glad you found us, Alison! Thanks so much for reading :). And, congrats on the move–I bet you’re glad to be all settled now! I’ve liked the Apt. 9 brand of women’s dress pants from Kohl’s. They’ve lasted well for me. I also don’t wash them very often–they don’t really get dirty unless I spill food on myself (whoops). 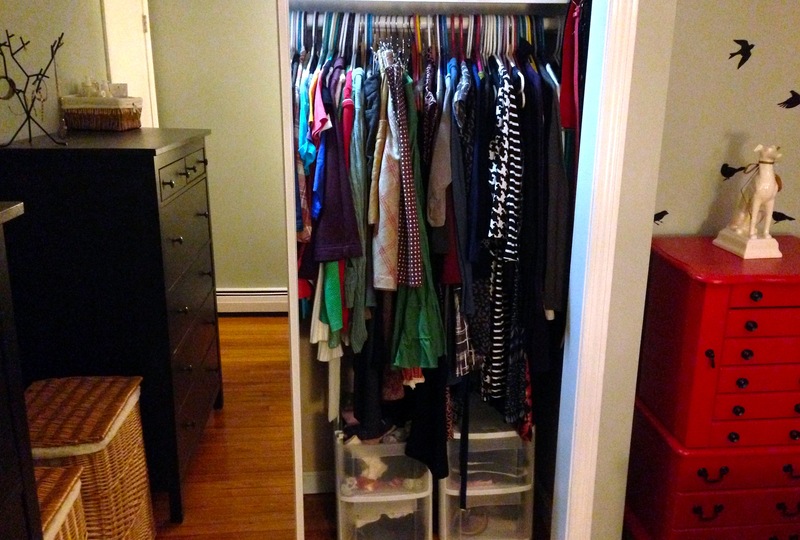 Best of luck with the frugal wardrobing! Oh my, a fellow thredUPer! I’ve never heard of this ThredUp you speak of, but I’m definitely intrigued! I’ll have to check it out once I emerge from my clothes-buying ban ;). That’s awesome you’ve found used hiking gear there! 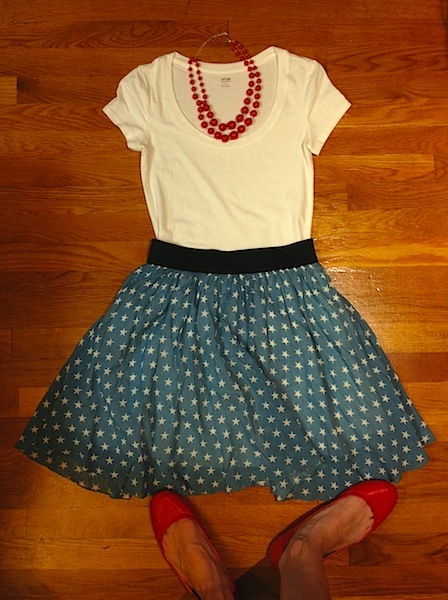 Just placed my first order at thredUP tonight for 40% off for first-time buyers. 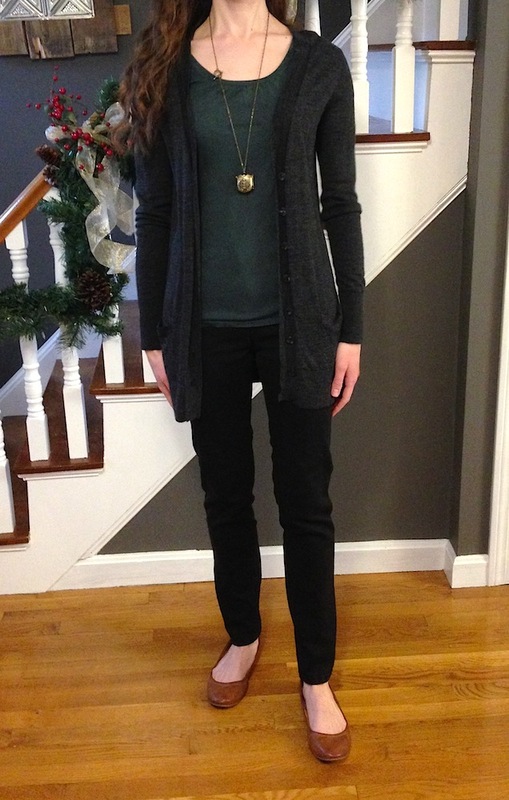 Two pairs of Eileen Fisher pants (washable, $180 at Nordstrom), three name-brand blouses, and two cardigans for less than $100. I’ll be interested to see the condition and future deals as I build my professional wardrobe. Any sources for shoes? Their lineup for 8.5 was pretty slim. Another thing to remember is that laundry soap loses its effectiveness after just 6 months. So, if you are a small family like me, it’s probably best to buy in smaller quantities. If you don’t want to darn those holy socks…..just stick a ball in it……makes a wonderful dog toy!! I’ve definitely done that with old socks! Frugal Hound loves them (and usually gleefully rips them to shreds 😉 ). All great advice! Might I suggest that sweaters be dried as flat as possible–even spreading them over the top of a drying rack rungs can stretch out some parts of the sweater. I usually put a sweater on a towel on the floor, roll it all up, squeeze gently, unroll, and let dry. Might have to flip the sweater or change the towel. Question! Do you do your own pedicures, or is this a lovely splurge that helps win the battle of frugal vs. miserly? I get pedicures done at my local beauty school for $20, and am always happy with the results. My husband gives them to me as a birthday gift. Good call on the sweater drying method–that’s what my mom does, but somehow I’ve been too lazy to execute it ;). But I know I should! To answer your question, I do my own pedicures (which are rare for me actually 😉 ). The inside out washing tip is a new one for me, thanks! We just moved into a small apartment from a big house. At the same time I wanted to keep working on cutting our electric use, so I decided dryer use needed to go. My husband thought I might be nuts looking around the space we had. I got one of those folding racks, and have never looked back! So for all of you thinking this is not an option due to space, try it! It folds tiny when not in use and only take two more minutes to hang he clothes, which I weirdly kind of enjoy (meditative close hanging – could be a thing). I agree sheets, towels, dish rags, and our cloth napkins still go in the dryer. Damp sheets and stiff napkins just don’t cut it, but otherwise, hurray for air drying! Yay for air drying! And, you’re very right about making it work in a small space–it’s totally possible! Kudos to you for doing it! The dryer really is nice for the sheets and such–definitely a luxury I’m willing to pay for :). Take a few minutes while you are in a crowd & look at what people are wearing. Ironically, in spite of what they probably spend, most people don’t look any different from others. This is obvious at the mall, where you know they are spending gobs of money. Most of what people are wearing doesn’t look any better than what I bought used. That is such a great point, Louise! I get so many compliments on my thrift-store goods I can’t see any reason to buy new! These are all really great tips! I own clothes I’ve bought new as well as clothes from thrift stores, and some of the clothes from Goodwill, etc. were very old when I bought them, so these care tips are extremely helpful for keeping my ’90s clothes alive. I tend to just emotionally give up whenever doing laundry, and throw everything in together and hope for the best. I know you’re not buying clothes right now, but next time in you’re in Vermont you should check out Outdoor Gear Exchange in Burlington (if you haven’t already) – their downstairs is all consigned outdoor apparel and gear. They have really awesome stuff for way lower prices than new. It’s great because it satisfies my desire to buy things used rather than new, and I can usually find what I need. Sometimes the prices are kind of high, but nowhere near as expensive as brand new. Just a tip for other frugal New England outdoorsy types! Hooray for the Outdoor Gear Exchange! We definitely strolled through there while we were in Burlington last month–actually, it was the only store we went into ;). Didn’t buy anything but was super impressed with the selection and prices. A great resource to be sure! Our hiking gear is some of the only clothing we’ve bought new–it’s got to be right and we’re rarely able to find something that’s correct at Goodwill. That gear exchange will certainly come in handy in the future, I’m sure :)! I use many of the same techniques, especially washing as infrequently as possible, hanging dry delicate items and avoiding the dry cleaner if at all possible. Another tip I would add is to unbutton all buttons and zip all zippers before putting clothing in the washing machine. I’ve had more than one clothing item made of delicate material rip at a buttoned button or an un-zipped zipper during the wash cycle. It is worth the time to make sure these things are taken care of before dumping clothes into the washer. Have you tried the laundry ball so you don’t need to use detergent? Drying clothes with a dryer can easily reduce the lifespan of your clothes. I have not tried the laundry ball–but I’m intrigued! These are awesome tips! I actually hang dry my clothes as well and find that to be the #1 way I get my clothes to last a lot longer. I also have “around the house” clothes that are beyond pitiful looking haha. I try to only wear them on the weekends or at night though, because since I’m home pretty much 24/7 with working from home and Little Miss, I’d start to feel really frumpy wearing my less than desirable clothes all the time. Definitely a great tip though!! So true about hanging clothes to dry! They last so much longer not being subjected to the dryer. And, totally makes sense about around-the-house clothes if you’re working from home. We’re both so relieved to not have to wear our work clothes at home mostly because we’re not home enough :)! Looking forward to our working-from-the-homestead days (which’ll probably require a whole new laundry regime 🙂 ). I admit I put everything except my most delicate clothes in the dryer. I’m a busy lady. I also usually use warm water–I don’t have enough laundry to fully separate everything stinky, and I don’t find that cold water does the trick on Mr. FP’s exercise clothes. I find that iron-on patches always require sewing in addition. But then, the kids are super-hard on their clothes. I was just asking at Big Brother’s new school if I am allowed to patch his uniform pants. The lady said she didn’t know! No one had ever asked before! Is mending that lost of an art? I’ve also made some pretty major adult repairs–I fixed Mr. FP’s frayed-at-hem khakis and reinforced my threadbare-at-inner-thigh skinny jeans. Like some of the other commenters above, I have a husband who does not like me to look but so junky around the house. Would you believe that he insisted I stop wearing my favorite postpartum nightgown? (Grandma FP bought it for at Walmart–it is just a loose-fitting, pink floral nightie which happens to have buttons providing nursing access.) The baby is only 3! Tons of wear left in that nightgown! And it’s comfortable. Sigh. Ooooo I forgot to mention my stinky clothes trick! Use vinegar! I put some cheap white vinegar (purchased at Costco) in with our stinkiest clothes and wash in cold water. Does a great job of removing odors! One thing I’ve found that combats the smelly workout clothes (even with a cold water wash) is adding some vinegar to the washing machine along with detergent. I put in somewhere between 1/2 and 1 cup (just estimating here – usually I just pour in what seems like a reasonable amount) of plain white distilled vinegar, and it takes care of the stink! Nothing comes out smelling vinegar-y either. Supposedly it also helps brighten colors and soften things as well. Not sure how much of that I’ve noticed, but I’m calling it a win/win! Yall are super cute! I’m sorta too chunky to really find anything in thrift stores- though I totally admire your ability to find the super cute items! Aww thanks! I do enjoy the thrifting, I must admit (which is why I had to ban myself 😉 ). Though we aren’t quite down to zero clothing expenditures, we come close! We’ve also found some of those tag still on Banana Republic caliber outfits at the thrift store (for $1-3!!). We sew, we wear more than once (though socks and undies only 1x like you guys – don’t want the fung). And +1 on the wearing old, stained holy stuff around the house. I’m still rocking my old work polos with the corporate logo emblazoned on the chest, hoping they eventually wear out so I can toss them. But in the meantime, they are perfect for lounging around the house, doing messy chores, etc. It’s amazing what you can find at the thrift store! The tags-still-on pieces thrill me every time. And, we are huge devotees of the old-clothes-at-home method. Tried and true. Plus, it’s more comfy! turning inside out is & using different cycles are ones I’ve never thought of, thanks! I’m on month 8 of a shopping ban that I hope to extend for at least 2 years so extended the life of clothes is key!. We need another drying rack, one is definitely not enough. I also use the dryer for all the kids’ clothes, I just can’t hang all the many many little things—and they outgrow them or wear holes on the knees of their clothes before they actually “wear out” from overdrying. I also don’t agree with #3. I just feel a bit better wearing something cute, even when its just the family at home (and my husband, who I didn’t think was picky at all, did ask me to retire a couple of “casual” items that were in heavy rotation a few years ago) Plus, I hate thinking about changing should we decide to go out. I put my clothes on in the morning and wear them all day—so I want something that works for any potential situation! Oh man, we’re going to have to agree to disagree on that one 🙂 I love nothing more than to slip into some comfy old shorts and a tshirt when I get home from work! More great advice. Living and working in a very casual state has made clothes buying and cleaning a lot easier. Again, no one in Vermont cares what you wear. Even most workplaces are quite casual. Yes, there are designer stores here, more the outdoorsy-type clothes, but, again, if you don’t wear those labels, no one gives a hoot. I think more emphasis should be placed on clean, decent, practical and comfortable instead of look-at-me fashion fads. Spikey heeled boots, while beautiful, are not practical for cobblestone streets, dirt roads, or mud season. I’m a big believer in #1, too – especially cold-weather clothes. And you’ve inspired me to go check out the local women’s consignment store the next time I’m in need of new duds! Great bargains to be found there! Make sure to visit one in a nice part of town. The stuff really is higher quality, and less likely to have been worn much. Great tips! I think I’ve done way too much laundry in my life and need to cut back. When I was a kid we would wear the same outfit to school every other day for the week, then wash. I don’t have my kids do that for shirts, but I encourage them to wear their pants more than just one day before putting them in the laundry. It is tough with a cat in the house though. The cat hair. Ugh. Maybe I should make her a hairless cat. . .
Hairless cats are cute! My favorite bookstore in San Francisco has a great looking hairless cat which I always admire when I’m in there. You’re welcome Ethel, thanks for coming over to read it! Great tips. I’ve been known to darn a sock or two (except for my husband’s, he gets holes that are HUGE). My husband wears jeans to work, and generally he buys two pairs a year (at Christmas, using a gift card), and they last a year before they get holes in the knees. This year, they only lasted until June!! Hmmph. He must have been working hard! I was just wondering if you’re planning to use cloth diapers. I’m due end of december and a friend of mine has convinced me to give it a try. I’ve invested in some craigslist prefolds and covers and some all in ones for daycare. I also hope you post about frugally deciding on daycare if you plan to go back to work. daycare is so expensive and I’m desperately trying to find an affordable in home option. I love reading about how you frugalize everything! 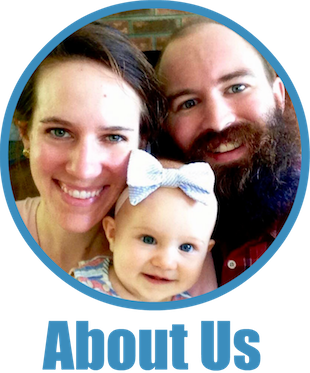 I used cloth diapers with great success, same diapers for 2 kids who were 2y+ apart in age. Great decision if you can manage it and if your daycare will bag them for you to wash at home. Some daycares won’t touch ’em. Great tip on using appropriate cycles…I’m guessing a more delicate cycle with less agitation would lessen fading. Speaking of, I recently became frustrated that any time I bought “dark wash” jeans, they faded in like three washes. I did some research and learned that if you wash your jeans with white vinegar (or not at all…but I can’t abide an unwashed garment), it helps to set the dye. We wash jeans separately in cold water with one cup of vinegar at the beginning of the cycle. You can also throw in another cup of vinegar in the rinse cycle, but I found this made them retain a slight vinegar smell. Interesting! We occasionally use vinegar with our whites to give some extra cleaning power… but I wouldn’t have thought to try it on jeans! Thanks for the tip! Wash your shoes too! I used to work at a thrift store, and we washed all the shoes, even the leather ones you would think wouldn’t fare well. No machine drying, though…they shrink too much. Next time you are ready to ditch a pair because the look too rough and dirty just give it a try. A bit of fabric softener does wonders for leather. I have a pair of orange Old Navy flats from Goodwill that have been through my washing machine several times now, and they always come out looking like new. Good tip! Though I have to admit that I go through shoes like crazy! My current pair is overdue for a replacement, and I’ve only had them for a couple of years. I walk (and hike!) a lot. I frequent the Goodwill in the nicest part of town and WOW have I found some fancy, high-quality stuff there. I also belong to a clothing swap in my city that meets quarterly and is a great way to freshen up the ol’ wardrobe without spending money. Something I’m tired of looks new and exciting to someone else, and vice versa. Goodwill is always a treasure hunt! I love all your frugal clothes tips! Even on the dog stuff… I’ve done that before, washed the dog bed with my stuff and had dog hair on everything. I actually haven’t bought any new clothes or shoes for about 2 years now. Unfortunately that was mostly because I finally realized how much I actually had, like 10 pairs of jeans. At least we can wear jeans to work! Great ideas to incorporate in the frugal lifestyle. Go you with the clothes buying ban! Turns out it’s totally possible. I often get more than 2 wears out of my work clothes. Sometimes I wear a lightweight camisole under shirts to keep it off the skin, and always slips with dresses. Hang it inside out on a hanger as soon as you get home to let it breath. Of course if you were sweaty or it stinks, wash it! Pants I can get 2x, otherwise they get all kneed/baggy. I do try to all dry clean ONLY items (unless it’s a suit for husband). I have successfully washed many dry clean items in the washer! On delicate or handwash (the one that has pauses between several agitations). Use a mesh laundry bag for dedicates, go one step up for water bin level, cold water and inside out. Then line dry. I even wash my wool merino sweaters and silk blouses in the wash (key is not lots of agitation and not many items in the wash). Then for items I don’t want to risk, I use at home Dryell dry cleaning system. It’s like 40-60 cents an item to dry clean but you need 4 items to run a load. So I only do this when necessary – I got a spot on something, or nice pleated silk dresses I don’t want to wash. I will sewn buttons or iron patches or hand stitch holes, but I have not yet learned my sewing machine yet. MIL scored it for free, but I have no time to learn it at the moment. One day! Nice tip on the Dryell, we’ll have to check that out. Thanks! I’ve worn the same six pairs of jeans for about a decade now, and since I wear all black, they tend to fade. So every couple of years I redye them! Everyone thinks I bought new ones. I reuse the dye bath as well (I dye in the tub, not in the washer), and I toss into the second round any plain tank tops or T-shirts that are fading. It refreshes the black in those too. And gee, it can help with that “my blacks don’t match” problem! How cool! You must have some impressively durable jeans. I tend to wear holes in mine after 2-4 years of regular usage. As long as you’re going to retire soon and your baby will be fairly young when you do – I suggest you learn to make your clothes. It really isn’t difficult and it looks like Mr.Frugal already is adept at some part of the sewing machine. Simplicity patterns are still out there and before long, knowing you two, you’lll be making your own patterns to save money. I made my daughters’ clothing till they absolutely tantrumed out and I saved a ton. But, I had “several” children and I really didn’t want to make boys’ pants. I did buy those. I made all my maternity clothes, too. Baby clothes were fun to make. Do you knit? Crochet? Saves a lot and your baby can look better than Princess Charlotte. Those are my two cents for today. Thanks Pat! We’re on the lookout for a good used sewing machine. I’ve always wanted to do more sewing of “new” clothes, and we already do a fair amount of mending. I find it a lot of fun! When I lived in an apartment with steam radiators, I used to hand wash all my undies in dish liquid in the bath room sink or as I showered (double use of same water!) and then I’d dry them on the radiator grill! I also dried my bras and such by clothes pinning them to my fan and letting them blow dry ! HA! That’s frugal! The only stuff I did via machine was the bug stuff such as towels and sheets. I have been known to dry clothes when I travel by setting them on the dashboards and letting the sun do the work. The vent windows in old-fashioned American cars used to be great to hang a swimsuit to dry on the way home from the beach! I have been a thrift/consignment shopper since the early 70’s. I loathe malls and most retail stores and am not even real fond of online stores. But I do adore a good thrift shop! MEL you have some of the best frugal stories! Grammie Frugalwoods here! Proud of my skinflint daughter. When her dad was a teacher and we were saving all of my income for a house, he wore dress shirts and a tie everyday. When the collars became freyed I turned them around. Lots of sewing but shirts lasted longer. I still darn holes on his socks. Everything I hang up to dry goes into the dryer for about 1 minute to remove wrinkles first. Soap or candle wax on zippers after washing improves their glide. And we all like a nice glide , don’t we? Kohls is my friend…since I have their charge card(paid off every month when used) they send me coupons regularly – 15, 25, 30 per cent off. You know 30 when 30 – I like-30 to shop there 30. Grampa Frugalwoods and I no longer live “frugally ” but you can’t teach an old dog etc. but my clothes still come from thrifts , consignments ,SAMs club, Walmart , kohls , nordstroms rack , marshals, Burlington coat factory , garage sales, etc and folks often complement my outfits. What they don’t know won’t hurt them. I do enjoy clothes and have gone even a week to two without going into a thrift store! Howdy Mom-in-law! Great tip on the zippers, I’m going to try it tonight on a pair of jeans. I found a crib in the garbage once and found that the side of a crib, turned on its side and leaned up against a wall, works great as a drying rack. It saved me many quarters when I lived in an apartment, and it was free! Clever! Hard to get more frugal than a free, repurposed drying rack! I second Grammy Frugalwoods on the usefulness of learning to turn collars (and cuffs!). Greatly extends the life of shirts. And here is a shout-out for patching holes in clothes, or in my case, stains. I have a favorite knit top that I managed to stain with mustard, right on the chest. I cut out a patch in the shape of a heart and did a little fancy stitching around it. Fifteen years later (yes, that’s right) I still get compliments whenever I wear my heart-adorned top. I work at home and wearing grubbies all the time made me feel depressed and unmotivated. So now I have a collection of casual, at home clothing — a few simple outfits I wear every day, but that make me feel neat and semi-professional. I save the grubbies for painting and messy jobs. Nice idea with the “fashion” patch shape. I have a feeling that’s going to come in real handy some day. I don’t wash my clothes all that often either! People think they need to be washed it if even touched your skin once, but that’s definitely not the case for most items. I save time, money on utility bills, and it really extends the life of the clothes! Same with hanging clothes to dry. I’ve been doing it since I was a kid just so they wouldn’t shrink, but as an adult I’ve noticed to cost savings and that it keeps my clothes in better shape. Yep, we’ve noticed our clothes don’t pill as much when we don’t use the dryer. It really makes a difference! I also try and dress nicely at home. It just makes me feel better and more productive. Of all of the people in the world, I want to impress my husband the most, so it makes sense to dress nicely at home. My husband appreciates it, though he doesn’t fuss about my grubbier clothes. He used to but stopped when I pointed out that I really hate his cargo shorts so if he wants to get rid of those, I will get rid of something he hates. Our 3 1/2 year old son is a regular fashion police, though. But I do change into work clothes if I am going to do potentially clothes-ruining work. I also wear aprons when I cook or do dishes. Cooking and cleaning can really ruin some clothes. I really don’t know why aprons ever fell out of favor. I wear an apron, too – I have moments of sheer and utter clutziness, so an apron is a must. I live in a tiny flat with no dining table, so I wear an apron while I’m eating as well, to make sure I don’t accidentally ruin my tops – I love using turmeric in my cooking, and those stains just don’t come out! I still have the blouse I wore to the Jimi Hendrix concert at the Boston Gahden in 1970, some peasant blouses from that era and landlubber jeans (including a fringe belt). Of course they don’t fit me any more but I’m saving them for my granddaughter! I’m going to attach a note to each item with a notation of a memory I have about the era. And your granddaughter will love the history with them! What a wonderful idea. Yay! Someone else that hang dries laundry inside the house! My hubby set up a clothesline inside our second living room and I love using it for 99% of the laundry (the only exception is bedding because we only have one set of bedding). Unfortunately, we were laughed at by my mother in law but my mom saw it and jumped at the idea to install one in her basement. We have found that it saves us about $50 a month in electricity and who knows how much in clothes since the dryer tends to take a toll on various garments. We tend to wear comfortable but not appropriate for going out clothes around the house too. They’re just more comfortable. When I’m cleaning or cooking, I will wear an apron to keep my comfy clothes looking nice. I sewed the apron a little too big while in jr high and it’s still nice to this day (totally a plus for being the same height since jr high, lol). Indoor drying lines are a revelation. We used to use racks at a previous house, but these lines are way more efficient! That’s an awesomely frugal solution! Nice! I had twins and when they wore out the fit in their blanket sleepers I’d cut the sole off and stitch on any kind of durable fabric I had, denim, twill, layered flannel. Saved me from buying replacement sleepers and they looked great. I wasn’t lucky enough to get hand-me-downs. I used to buy things for them at the school sponsored thrift shop and they were never the wiser. Great place for boots, ski pants and some sporting equipment. I like supporting our schools and I love to save money (times 2). What a great idea about the sleeper patches! Thanks! All great tips! Another thing worth mentioning is using vinegar as your fabric softener and baking soda as a deodorizer. The baking soda works great on our smelly towels and washrags. I throw it into most washes ( I have two boys who are always getting messy/dirty, etc.) Both items are so economical and eco friendly, too. I love Cindi’s comment about patching stains. Most of my clothes die from stains. I will have to try that! I have really noticed that clothing quality has declined in the recent past- I think since the price of cotton went up a few years ago. I have some lovely cotton knits that are only now looking worn 10 years in, while others that are only a couple years old are so thin and pill-y I can no longer wear them to work. I’m curious about laundry detergent/soap. I tried to switch to soap for a year and felt like it just wore out my clothes. (They looked dingier- everything faded to gray and stains wouldn’t come out). So now I’m back to name brand (All Free and Clear) . And I still feel like I can tell the difference when my darks are washed with lights – even in cold. So most weeks I end up with lights, pinks (I have a daughter- and her hand me downs are mostly pink), blacks (thats my work “uniform”) towels and sheets. I’m so far from being down to 1-2 loads a week! We use the Kirkland brand laundry detergent (from costco) in the scentless formula. Seems to work fine, though we haven’t exactly tested it vs. others. I am also a fan of the shake method when it comes to iron avoidance. I hate it with a passion. We use a drying rack in our apartment and then I also hang clothes all over the house on door knobs, chairs, towel racks, etc… It works great! And, I can’t even remember the last time I used an iron or dry cleaning. Like everything else in my life, I prefer simple over complicated and time consuming! Simple is truly better when it comes to clothes! You’re missing one point about buying clothing at the thrift shops. By carefully buying thrift clothing you can afford to wear better things around the house and never get caught looking like a homeless person. When things get ruined, I’ve paid so little that it isn’t a tragedy to cut them into rags or just get rid of them. 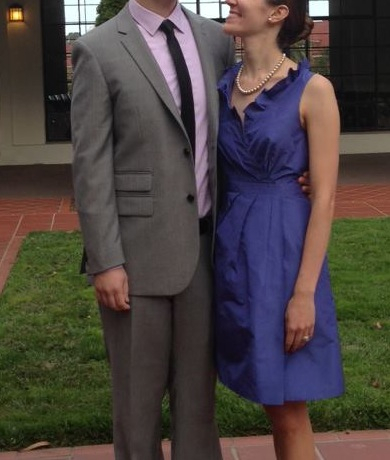 I once scored a Ralph Lauren silk dress for $5 to wear for a special occasion. Unfortunately it was stolen before I got to wear it. But, damn, I felt good about owning it. I also have a sewing machine so I can hem, repair and alter things as I need to. I have only a few items that just look better when ironed but they are not for every day wear so it is very infrequent. Nice score on the dress! I found that when I started using homemade laundry soap my clothes started to last much longer. Great post! I don’t buy clothes either, a total ban. With the mending tip, I would add mend early, as soon as you see the smallest hole! A stitch in time.. I also don’t subscribe to number 3. I ruthlessly culled all my ill fitting, ugly stained clothes. I deserve to look and feel good within myself! So I wear a pair of really good quality black yoga pants (warm ones in winter) which will last me forever, comfortable, I can de flea the cat in them and my bum looks good too so it’s a win! I agree on saving good clothes for best, but a great set of threads for home is the bomb! Loved the post and the tips thank you! You’re welcome, glad you like it! It didn’t matter. The shirts lent their red to everything – the sheets, the furniture. At first we didn’t realize what was happening but when a red stain showed up on the edge of the white dining room table… Washed them again. Didn’t matter. Our son mixed his shirt in with other wash, everything turned pink. Fortunately I fixed most of that with a 2nd laundering and some color safe bleach (saved the sheets with bleach, too, saved the couch with baby wipes – you’ll learn about those, they solve a lot of problems). The red shirts had to go. We still have the bottoms, LOL. Oh wow, that’s a serious disaster! What a bizarre thing too! Definitely makes for a good story though :). And, I love that you kept the bottoms! Great tips! Since I started my capsule wardrobe experiment I’ve really noticed how much faster low quality clothes wear out and what a difference taking care of your clothes makes. It’s also a lot easier to take care of your clothes when you have less of them. So true! I’m a fan of getting higher quality used clothes than cheap, new stuff. Makes a big difference! I gave the freeze-your-jeans experiment a go once. The hubs was not expecting to find that in the freezer on a late-night ice cream hunt. In terms of laundry disasters, my husband kindly (and unbeknownst to me) did my laundry once last winter. After drying my wool sweater, I wound up with one sleeve that was above my elbow and one that was still nearly regular length. Not even sure how he managed that one! Thanks for sharing your tips. In high school I saved up money to buy lovely light blue jeans that were the style in the early 90s. I had put them in the wash my father did. He threw his brand new red sweatshirt in (you can see where this is going) and my jeans were pink! I wanted to cry. Fortunately, after an immediate rewash the colour came out. I learned, don’t put red in with anything from that! I don’t put most of my clothes in the dryer. I wash my work clothes more often as I work with kids, who you will soon discover are very, very, germ-y. I have found since I started doing this, I get sick less often. Now my “around the house clothes” are worn until they stink, get dirty, or the end of the week! I am proud to say that since mid-2014, with the exception of a replacement bra (a gal needs more than 1), I haven’t bought one item of clothing! I will buy when I need to replace things. Oh no, your poor jeans! Glad to hear you were able to remedy the situation. And, huge congrats on not buying clothes–that’s awesome! Way to go, my frugal friend! Always a fun read Mr. and Mrs. FW. After reading #9 I was reminded of my hubby’s (Ben) curtain hemming strategy with binder clips. He measured, folded and clipped the binder clips at the bottom of the curtain. Since this curtain is in the basement, it really doesn’t get much use anyway. Often when we need to fix something we look around the house and say “what do we have that could do the job?” As for #1, since Ben is in construction he gets free T-shirts all the time from the different companies he works for and by keeping with safety standards he has earned Carhart jackets and pants. (The career that pays for your attire, Lol) When those T-shirts get too worn they are turned into paint smocks or rags. I love that approach of looking around the house and figuring out how to make do! A classic frugal weirdo strategy for sure. Nicely done on the curtains :)! And, that’s great your husband gets so much clothing for free from work! Cedar to prevent months? Have you invented a stasis machine? I find the disabled washrooms are the roomiest place for a sponge bath & clothes change after a cycle or run or walk in the heat. If you have people knocking/waiting, use one on another floor. Stained clothes? I’d dye! Ripped clothes? An opportunity for romantic violence…. Cold water washes can be iffy in winter. I think you need water to be at least 60F/16C for the detergent to work. Soaking helps. Horizontal washers save on water, but cost more. Some washers & driers let you set the temp or dryness desired. Inside out also helps prevent visible pilling & strain on button threads. Washing small loads in lots of water avoids wear & gets clothes cleaner, and with cold water, costs nothing more. Sandals mean no socks to wear & are healthier for the feet – tho barefoot is best when possible. Kids clothes can get lots of wear, depending on the kid & amount of outdoors. Some pants come with double layers at the knee & a guarantee. My mother used to get free pairs when I ran thru them, years ago…. Wool & cotton smell less than synthetics when used for multiple days. Travelling by car? Put your dirty clothes in a sealed bucket with detergent at the back of your car & let the travel bumps agitate them. Rinse when you arrive & hang to dry. You can get clothes lines with suckers to hang in the bathroom. Camping? Use a long rope, doubled & twisted between trees & tuck clothes corners into the twist – no clothes pegs needed. @julie I prefer the big folding cloth diapers. I think they keep baby dryer, and they wash better and dry faster. After baby grows, they make great lint-free cleaning cloths for windows, shoes, etc. Certainly an inventive list of tips to be sure ;)! I own an iron (it was free from a friend! ), and while I don’t iron most of my stuff, I do use it to seam out my silks or other really delicate things. You don’t touch the iron to the stuff, you just use the steam setting a little bit over the object; and then smooth it out. It’s the same thing I do on my knitted lace work (true knitted lace needs to be blocked to size). One day, I had the idea to apply it to my silk scarf; and it worked amazingly well! whoops. That should be ‘steam out’ not ‘seam out’ Please excuse the typos! Black clothing dye! I use it 1-2 times a ear to freshen up my black work pants, sweaters, etc that are starting to fade a little. It makes a huge difference. Very smart! We haven’t used clothing dye before, but what a great idea. I’ll have to add that to our list of things to try :)! Coming from an environment where you drive everywhere I have never waljed through shoes. And because I had a car I pretty much kept all my shoes in my car. Since moving up here I have walked through countless pairs of shoes. Does anyone have any pro tips for extending the life of shoes? Ahh yes, the plight of the frequent walker. Since we walk and hike a ton, our shoes wear out pretty quickly as well. And, it’s tough to find good used shoes, so we usually resort to sales and deals on high-quality shoes. Amazon sometimes has great prices on shoes too. Mr. FW in particular wears his shoes right through the soles. Once we can see his socks, we know it’s time for new shoes! Also, I’ve washed plenty of thrift store special occasion dresses. Outside of super delicate fabrics, so long as you have a front loading washer, you can wash practically anything on gentle. Agitators in top loading washers can destroy fabrics so go at your own risk if you have a top-loading washer. Working in non-profit fundraising and being in the throws of wedding season, I’ve had to wear many a thrift store special occasion dress and have washed them perfectly even when the tag said “dry clean only.” I wash and hang dry with no problems. Nicely done, Tara! I’m with you on the fallacy of “dry clean only”–so often, it just ain’t true! We unfortunately don’t have a front-loading washer, but I’ve found that the gentle cycle (coupled with not using the dryer) seems to be gentle enough on our delicate clothes. We just experimented with dyeing old clothes for the first time in order to save a few bucks. Initial thoughts are that for this round it wasn’t a huge win, but has opened our eyes to other savings to be had (mostly about black clothes as other commenters mention). A great experiment to be sure! We haven’t tried it before, but it certainly sounds like it’d be worth giving it a whirl. Hmmm, that’s an interesting question. I think my best tip is to wear undershirts. Mr. FW wears undershirts under everything and those undershirts get pretty gnarly and yellowed, but they keep the rest of his shirts spotless under the ol’ armpits. I use Shout! or Spray-n-Wash on yellow stains on my clothes and those both seem to work pretty well. Might be worth a try for yours. 1, Fabric markers, chunky fabric felt tips. If you have lots of tops certain colour ( blues, greens, browns?) get some fabric markers of same/similar shades and just gently brush area that needs refreshing. Use shade as close as you can but if you have to err, chose a bit darker shade. I don’t know how it would work with light colours. Markers last ages. I bought 8 markers a decade ago and I still have 6 of them. Keep them away from children . 2. Don’t shave armpits and wear sleeves covering at least ‘that’ area. I’m a bit late to the party here after a bit of time off… but I totally agree with most of your points here… I don’t even own an iron, so no worries on that one. LOL! I also don’t know when the last time I went to a dry cleaner, I think I have one item that is dry clean only… And it might not be staying long in my closet because I just never wear it (because I don’t want to have to clean it!) And I definitely hang most of my clothes to dry, we’ve set up a nice bamboo pole in our basement to hang things on. That’s a good point about the inside out. I know to do it with some things like dark wash jeans, but I should really make a point to do it for everything. And good point by one of your commentors about the zippers. I’ve had some bad experiences with the little hooks from hook & loop closures (like on bras) getting stuck in sweaters or nice blouses. It’s best to have those closed up, or wash them inside a mesh washing bag so that they can’t hook on to anything. Thank you so much! 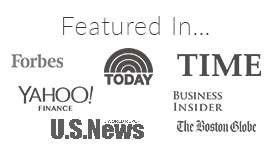 We appreciate you reading and sharing :). So often I find something great at the thrift store that simply needs some minor mending or a button replaced. It seems that people donate it rather than do those chores — all the better for those of us who can sew on a button or stitch up a seam. This post reminded me of my mom so many times. She keeps telling repeating the same pointers mentioned by you on how to take care of your clothes. i always thought this is their generation thought. But looks like lot of people follow this and are benefited. All thanks to her that I still have 7-10 years clothes in great condition that I never feel letting them go! I am also slowly learning these tricks and techniques. I have a very similar take on clothes now. I love that I’ve been able to knock down my bi-weekly laundry from 2 loads to 1. It’s a lot less to hang to dry, too! I have a 1-bedroom apartment, but it’s really easy to hang a clotheline inside. That’s an amazingly small amount of laundry–nicely done!!! What a funny coincidence – I think that you bought that v-neck dress with the black sheer overlay from me, when my boyfriend and I were moving from Cambridge! (And potentially also an orange and gold puffed sleeve dress, if I’m remembering correctly). I just stumbled on your blog a few months ago, but had I known who you were at the time I would have just given them to you for free 🙂 Thanks for sharing your stories, and good luck with your pregnancy. That’s awesome!!! 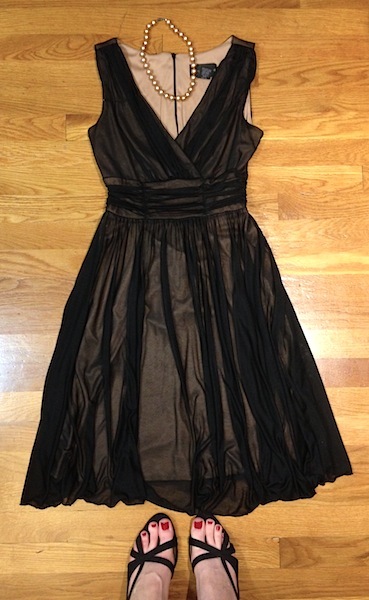 I definitely bought that black dress and an orange and gold puffed sleeve dress from a yard sale near Inman Sq. awhile back, so it must’ve been you :). Small world! Thanks for selling those dresses–I love them :)!! Use thrift clothes (or worn out clothes) to make new clothes. Case in point: I scored a 100% cashmere sweater for $4 at a thrift store, but it was much too small for me. I unraveled it and knit it into the coziest most luxurious mittens you could ever dream of. Fancy mittens AND hours of entertainment for $4. Win! I totally agree with the poorer quality of clothing after 2010 or so. The thing is, in 2007 I packed 5 old and worn out tops, some all the way from the 90s. I rediscovered them this spring, and was very surprised when the old tops not only were pretty similar to my new 2016 ones, but actually looked better (better quality). I took the new back to the store and decided to stop buying clothes for now. I’m also experimenting with leaving worn clothes out to air overnight in the fog. This has so far worked exceptionally well, they smell fresh and the wrinkles disappear. This is similar to the “Leave your shirt in the shower trick” but better. I have to ask: Did anyone try out steaming with a regular water boiler? After a minor panic, I jumped on my local Buy Nothing, gave the story with a photo of my practically two halves of fabric that were once my jeans and once my husband got home, I made a quick 15min journey around town and came home with FIVE like-new pairs of jeans! I tried them all on, kept two that I loved the best, and re-posted the other 3. Crisis averted, no money spent (ok well maybe on the bit of gas to drive around town), and I now even have a spare pair for the rotation and to avoid the one pair fiasco. Actually Buy Nothing has been my go-to for pretty much ALL clothing. Both of my children’s wardrobes consist purely of Buy Nothing items (except the occasional purchase for activities, like a Girl Scout vest….actually that’s the ONLY thing we’ve bought in awhile). And when they outgrow them, we just re-post. Great comments! As a recently retired nurse on a frugal budget, my hubs and I are learning that the little things in life make for the great ones to remember, and they’re not new clothes-Lol. We are both debt-free, and when I do finally make a clothing purchase, I first ask myself “Is this a want or a need?” We will buy quality clothing so they will last for years, and washing does make a difference. I’ve always hung clothing on my clothesline, as my own mother did. I feel it’s relaxing to look at clothes blowing in the breeze, and the fresh smell is one you cannot make by man or woman! Again, great comments and articles, and happy I’m subscribed to this online newsletter to keep me debt-free in retirement: never too old to learn something new! As an excuse to add to my minimalist wardrobe because I am planning a vacation in June, I wandered around my local community thrift store on a day when you could fill an "orange bag" with clothes for $3. Wow! I STUFFED that bag. First, I spotted a flirty, swirly, spaghetti strapped, mini dress in black, with purple and orange flowers. Then I spotted a sheer black long sleeved blouse that would make the dress more demure when worn underneath. Next, I found a lavender button-up sweater to match, plus some dressy black leggings to change the look up even more when worn with my one pair of black ankle boots. One dress, four different ways to wear it! Then I got home and discovered it could also be worn as a mini-skirt, too!!! I'm sure I'll find a few more ways to change it up with scarves, blouses, or a jacket, plus I'll make jewelry to match it from "found objects". There were other items in the bag, like another pair of black skinny jeans in a nice fabric, four tops to go with either black or blue skinny jeans, a blouse that was too small for me but has sheer long sleeves I plan to put on another blouse (I am the queen of alterations! ), a very long tee shirt that I needed to add to my sleepwear collection, an embroidered denim shirt I can wear as a "jacket" or overshirt, and a lavender fleece hoodie. For a minimalist that is a lot of new clothes. But, I'm also going through my collection to see what doesn't fit my lifestyle any longer. At this point, I have a total of two different dresses, one long, black, and formal, the other cute and flirty, each adaptable to be worn in a variety of ways. Thirteen items for $3 is a very nice haul! We’ll air fluff (run through the dryer on air – no heat) then hang to fully dry. This really helps not to have to iron. Plus, even from the get-go, I select items that are easy to maintain. (my fave finds are those incredibly soft, washed-a-thousand-times men’s tshirts at Goodwill. Besides being so soft and drapey, they wash wonderfully! In order to buy less clothing, it’s important to stay in shape and the same size unless you need to lose weight! That way you can wear clothes for years. In Hawaii recently , I wore a muumuu that I bought back in 1970; I received a lot of compliments so I told people how old it was and they were amazed. Granted I haven’t worn it often during all the years I’ve owned it, but it’s an old favorite and since I have loads of closet space, I’m keeping it. I thought about how old some of my clothes are and I laughed when you said you didn’t have any items as old as your car (19 years). As you live longer you might! Meanwhile, donate clothes you don’t “feel good in” and let someone else enjoy wearing them. With four kids, mostly wearing hand-me-downs or gifted (sometimes second-hand) clothes, we spent surprisingly little on their clothing, but when the youngest was a toddler I had a revelation. All the bargain-shopping in the world wasn’t getting my detergent costs under $10/month, and the packaging seemed excessive. This was when the Duggar family was first in the national spotlight, and the factoid that grabbed my attention most? She made their laundry soap! For less than $10 of start-up materials, my wash liquid costs me about $0.50 per gallon! It took some tweaking to find the recipe that works best for us, but now I can make 3 months’ worth of laundry soap in 30 minutes, in my pj’s if I feel like it. Since the nearest Walmart is about 20 minutes away, this is a time-saver as well as money-saver. We keep one small bottle of store-bought liquid for the family’s athletic-wear (sometimes the track uniform just smells funky after using the homemade stuff) and when Husband was doing a lot of business travel, we kept some of the pods on hand. He’d pack two or three (at about 25 cents each) and didn’t have to buy the $2/load packets at a laundrymat. I’m short (4 feet 11 inches) and hate to hem pants. I simply cut a small slit in the inner hem by the inner seam and insert some elastic. A few quick stitches on the elastic and to close the slit and I have hemmed my pants. They are warmer in the winter because they keep drafts out and keep mosquitos out in the summer. If you have growing young ones you can buy longer pants and not have to hem them as the child grows.